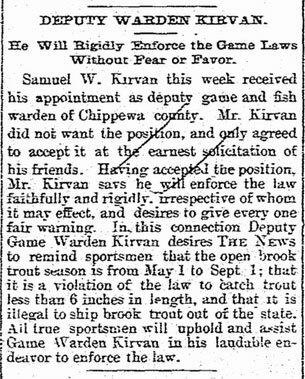 Deputy game warden – June 1893 – ? 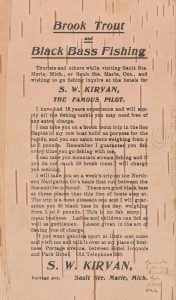 Publisher of tourist views and postcards – 1893 – 1906? 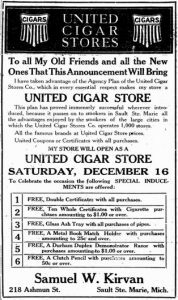 Owner of cigar store and billiard room – 1922 – ? 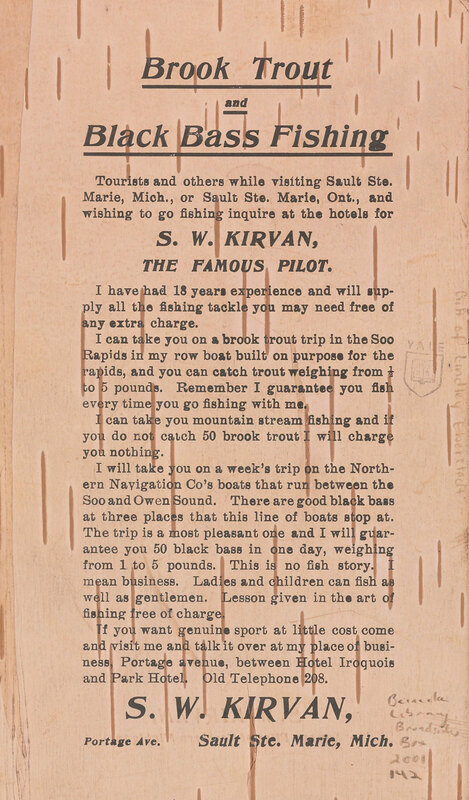 Some clippings below from the Sault Ste. Marie Evening News…. 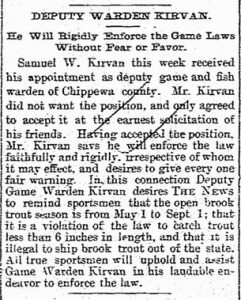 Notice of appointment to Chippewa County deputy game and fish warden, dated June 3, 1893. An April 1921 snippet, remembering 1906. 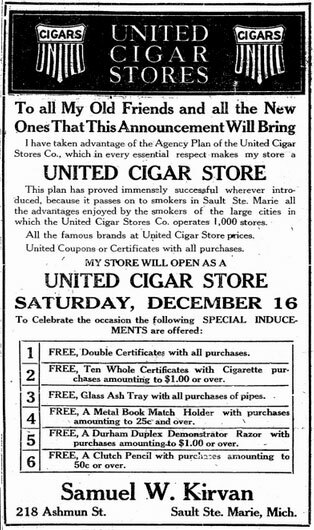 United Cigar Store ad, December 16, 1922. The cigar store is mentioned in a later article as being a cigar store/pool hall. Kirvan, S.W. Brook Trout and Black Bass Fishing: Tourists and Others While Visiting Sault Ste. Marie, Mich. .. S.W. Kirvan. Beinecke Rare Book & Manuscript Library. (http://brbl-dl.library.yale.edu/vufind/Record/4099601). 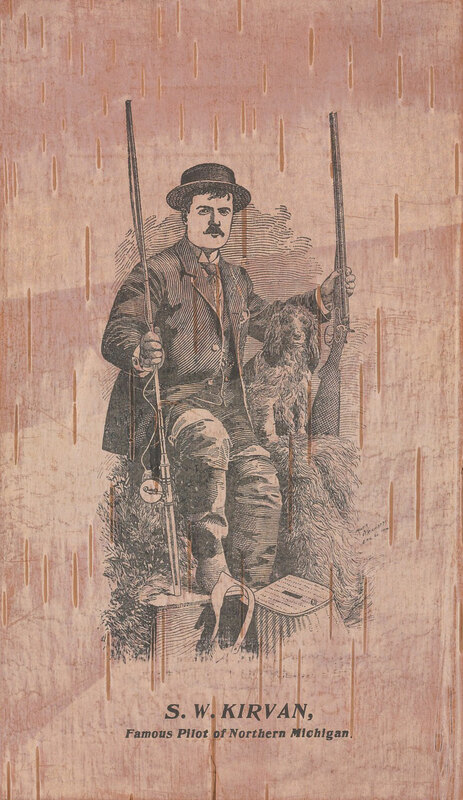 “Souvenir of the Soo: Scenes Around La Saut De. Ste. Marie, Michigan.” (1893) Google.com snippet view. (accessed May 28, 2017). R. L. Polk & Co.’s Sault Ste. 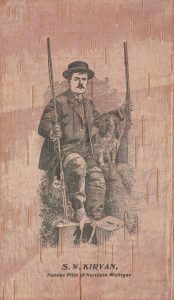 Marie Directories for 1895, 1898, 1900, 1902 and 1905. (Ancestry.com. U.S. City Directories, 1822-1995). “To Open Theatre.” Sault Saint Marie Evening News. December 20, 1905, Wednesday.